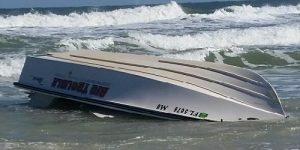 Hux was piloting his 25-foot-boat a little after 10:00 p.m. when he crashed into a breakwater wall going 20 mph. Hux claimed that he simply hadn’t been paying attention, but the Oklahoma Highway Patrol troopers who reported to the crash scene said he smelled strongly of alcohol and gave him a sobriety test. He failed; news reports say he couldn’t do a one-legged stand or remain steady when he tried to walk and turn. The troopers charged him with DUI and gave him a breathalyzer test at the Manford Police Department. Hux’s blood alcohol content measured 0.28, more than three times the legal limit. He spent the night in jail but got out the next morning on $1,000 bail. California has a “boating under the influence” law outlined in the California Harbors and Navigation Code. The impaired driving threshold for BUI is the same as it is for DUI; a BAC of 0.08 or more can put you in dry dock at the local jail.